You could hear the shouting clearly all the way down the office hall. Eric and Hana, two bright students from Macquarie University in Sydney, had spent July working tirelessly to integrate Youtube live into PublicInput.com’s meeting tools. Now they stood, high-fiving on camera as the live broadcast appeared on our cell phones in a mock public meeting broadcast. They’d successfully pulled off something we had only imagined a month earlier — improving ‘meeting mode’ to include the ability to live broadcast public meetings and collect responses and questions from online viewers. 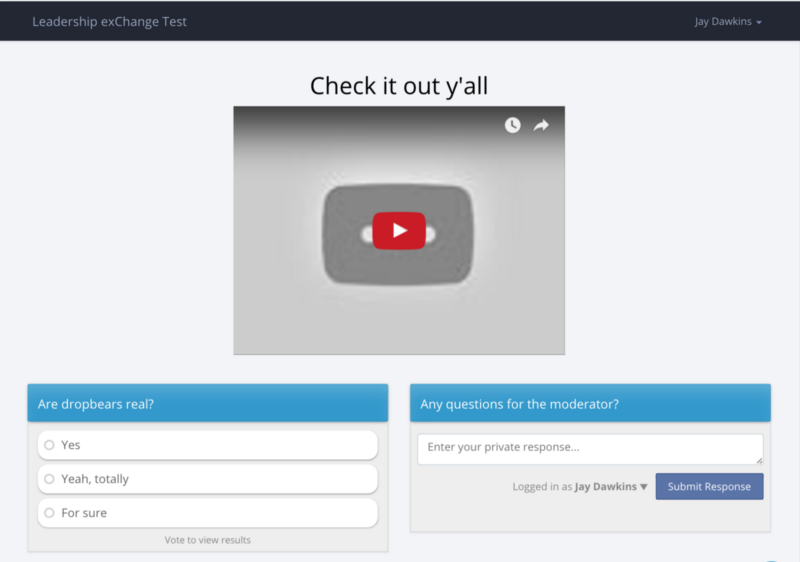 Integrating YouTube Live broadcasts into meeting pages didn’t come without a few hurdles. In order to broadcast and embed publicly, you actually need a minimum number of followers, an active ‘AdSense’ account, the right camera, and encoding tools. Not to mention custom CSS to make things mobile-friendly. They navigated each hurdle with ease, and their efforts created a simplified way to broadcast your next public meeting. Eric Tuchin and Hana Siddiqui visited Raleigh as part of a program called Leadership exChange, a program started by HQ Raleigh’s Heather McDougal. Leadership exChange provides life-changing study abroad opportunities for young people from Durham to Prague to Sydney. This is Cityzen’s fourth time hosting international students, and we’re as impressed as ever with their contributions. As cool as this technical achievement is, it’s not the reason we’re excited. We’re excited because live broadcasting creates yet another path for residents to engage in the public process. For residents who have challenges with mobility, live broadcasts are a breakthrough way to stay connected. And for the majority of us who find their schedules overloaded by work, life, and family commitments, this is a way to engage even when we can’t make it in person. Live broadcasting joins the most comprehensive set of public involvement tools, including interactive web surveys, text messaging, live meeting voting, in-email surveys, and print surveys all organized centrally in your PublicInput.com engagement hub. We’d love to share it with you sometime. To check it out, request your free demo at PublicInput.com.